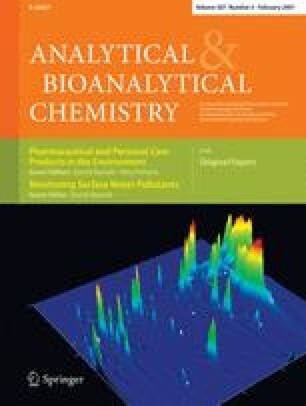 In order to assess potential effects of human pharmaceuticals in aquatic wildlife, laboratory experiments were conducted with carbamazepine, clofibric acid, metoprolol, and diclofenac using fish as test organisms. For each substance, at least one environmentally relevant concentration was tested. In liver, kidney, and gills of trout and carp exposed to carbamazepine, clofibric acid, and metoprolol, ultrastructural effects were qualitatively described and semi-quantitatively assessed. The obtained assessment values were compared with previously published data for diclofenac-induced effects in rainbow trout tissues. Quantitative analyses of protein accumulated in kidneys of diclofenac-exposed trout corroborated previously published data which indicated that diclofenac induced a severe glomerulonephritis resulting in a hyaline droplet degeneration of proximal kidney tubules. The investigations provided information on the general health status of the pharmaceutical-exposed fish, and allowed a differential diagnosis of harmful effects caused by these human pharmaceuticals in non-target species. For the different cytological effects observed, lowest observed effect concentration (LOECs) for at least three of the test substances (diclofenac, carbamazepine, metoprolol) were in the range of environmentally relevant concentrations (1 μg/L). This work was funded by the Bavarian State Ministry of the Environment, Public Health, and Consumer Protection. Additional funding was provided by the Foundation of the Landesbank Baden-Württemberg “Natur und Umwelt”. Thanks are due to Heinz Köhler for critically reviewing this manuscript and for providing laboratory equipment, as well as to Oliver Betz for laboratory equipment, and to Hermann Ferling for performing the exposure experiments.